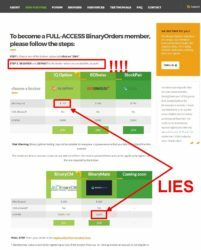 In this review we explain why Binary Orders is not a trustworthy service. 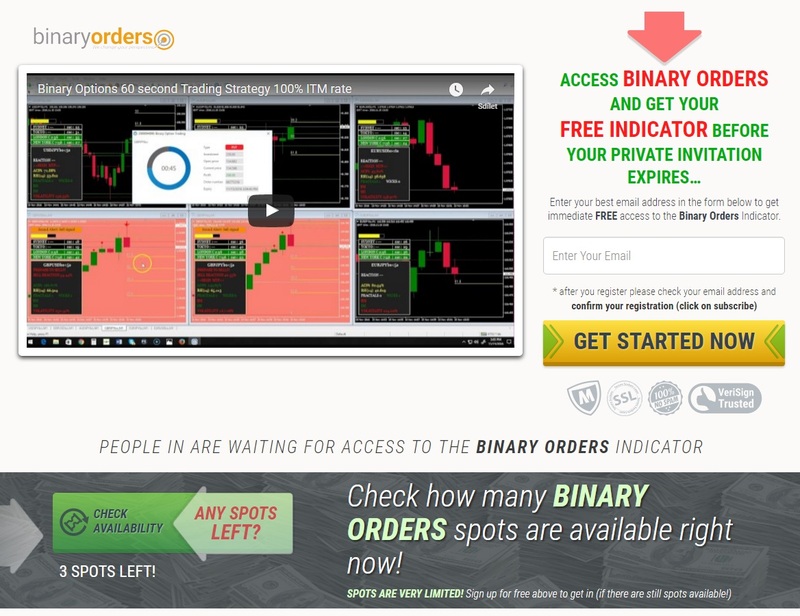 The Binary Orders offer is about a free indicator that is supposed to help you to achieve an 85% win ratio in binary options options. This at least what Alex Radulescu, the founder of this program, says. And this indicator is allegedly free, so free money? Well, not really. After registering for Binary Orders you will notice that you cannot download the so called free indicator, until you deposit money with one of the brokers of their list. This is why we don’t hesitate calling Binary Orders a scam. They say the indicator is free, but it is not, you have to deposit money in order to get it. Another problem is that Binary Orders is openely lying about some brokers. For example they say that the minimum deposit with IQ Option is $150, which is not true, it is only $10. Another lie is that Binary Mate is regulated. No, it is not, it is a completely anonymous broker that does not even provide an address! So all these things lead us to saying that Binary Orders is not trustworthy. They obviously do their thing just to make you deposit money with one of their partner brokers, so that they earn their affiliate commission. So they don’t care how their indicator performs in reality, they make money in another way. 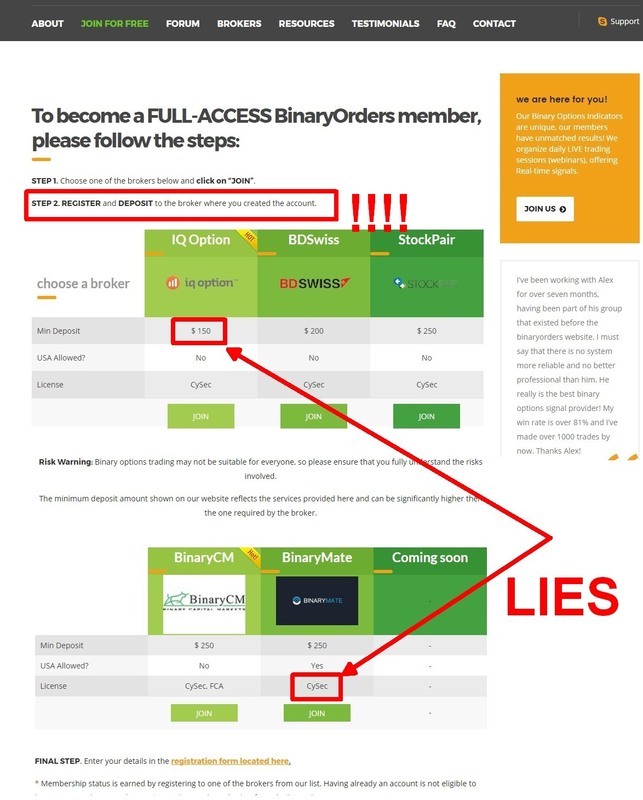 Binary Orders is not trustworthy, because it is lying about their indicator being free and about some brokers. So we recommend to stay away. They are trying to make you believe that you have to pay to try binary options, but it is not true, you can try trading absolutely for free on a demo account, which will help you to decide whether you really want to become a trader.